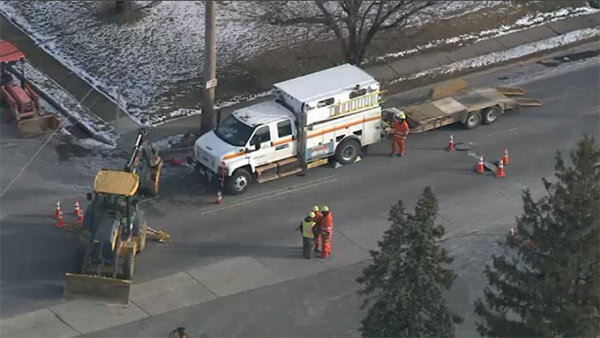 BURLINGTON, N.J. (WPVI) -- Crews have contained a gas leak in Burlington, New Jersey. The first reports of fumes came in around 12:25 p.m. Wednesday in the area of Salem and Mill roads. Once on location they found that a 20-inch main was broken. The main runs through both Burlington City and Township. It is also in the middle of a residential development so a number of people had to be evacuated until the leak was capped.